SSF has worked with over 250,000 young people since 2000. 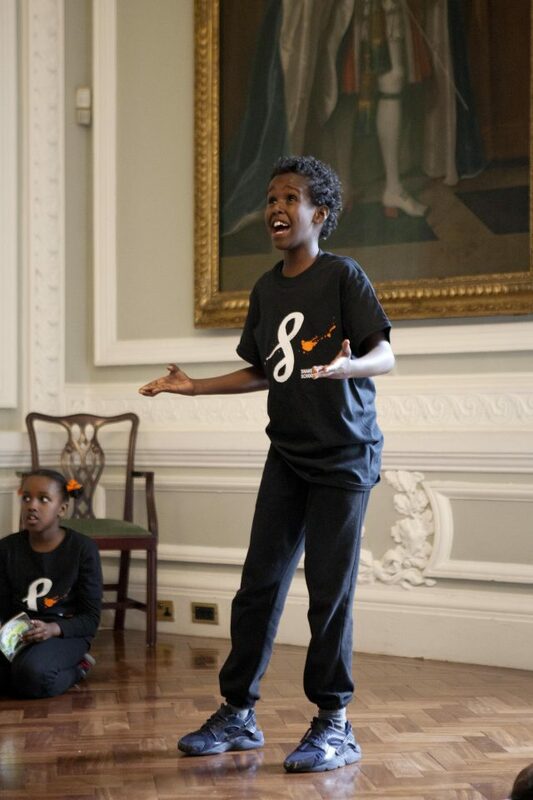 Our mission - to use the unique power of Shakespeare to transform lives - recognises the power of an excellent arts experience to effect positive change for all young people, but particularly those who need this change the most. The world’s largest youth drama festival is the core of our work. This project offers a unique opportunity for students of different ages, backgrounds and abilities to come together in a collaborative process of learning and performing on the same stage as their peers that is particularly authentic, is inspiring and engaging, enables personal progression and develops belonging and ownership. In 2016, 27,550 young people from 1,093 schools performed abridged Shakespeare plays in 131 theatres across the UK. Over 67,000 proud parents, carers and friends watched young people exceed their own and others’ expectations. Our training is deliberately kinaesthetic; the design promotes active engagement and sets teachers and students up for success. Exercises are devised to ensure collaboration and teamwork are promoted, mistakes are celebrated as stepping stones to improvement and a comprehensive understanding of Shakespeare is embedded. As a result, something really difficult is achieved, and the improvements in self-belief and ambition become cohesive benefits that can last a lifetime. One class of children from deprived backgrounds saw 100% improvement in speaking and listening, 68% in reading and 59% in writing. 87% say their students are more able to work effectively as a team. The whole attitude to life and learning is transformed. The Festival is an inclusive, non-competitive process and any school can take part. Every year, children from different backgrounds come together to perform on the same stage. As a result of this collaborative approach, students’ horizons are broadened, bullying decreases, and confidence soars. Our thorough and rigorous process uses the power of Shakespeare to improve the life chances of thousands of the most disadvantaged young people in the UK. 75% of participating students say that they enjoy going to the theatre, museums or galleries, whilst only 40% say they often visit them. The Festival provides students with access to the arts by bringing them into a professional theatre. For many, this is their first experience of a cultural, heritage or theatre environment. A priority area for us is young people with special educational needs. We have been building our expertise with special schools and have become skilled at delivering and enabling inclusive performances. Teachers and parents report students make enormous and often unexpected developmental strides as a result of taking part in our process;100% of special school teachers report that their students exceed expectations. Of the young people, 86% said they would like additional chances to work alongside their mainstream peers and 77% reported they felt people now saw them differently.